Are Mesh Nets The Future of The Internet? In Havana, people are using a self-contained network 5 Brilliant Ways Tech-Savvy People Worked Around Censorship 5 Brilliant Ways Tech-Savvy People Worked Around Censorship n ad-hoc mesh wifi network, spreading across Havana, connects people without Internet access, and other ways people work around government censorship. Read More to communicate with each other, play games, and share files despite pervasive Internet censorship in Cuba. This ad-hoc network—called a mesh network—has impressed a lot of people, and has many wondering if it represents the future of the Internet. Let’s take a look. What Is a Mesh Network? A mesh network is a network in which each node (a computer, phone, or tablet) serves as a relay Mesh Networks: The Future of Communication Mesh Networks: The Future of Communication Mesh networks are almost invulnerable. In a mesh network, there are no choke points through which all traffic passes. Instead, information is passed from one device to the next until it reaches its destination. Read More , routing data between its peers. Snet, Havana’s mesh network, serves as a great example. Its 9,000 users use a combination of broadband cables and high-power wi-fi antennas to connect to send e-mail, share files, and play games with each other, without connecting to the outside Internet. A few of the nodes also have connections to the Internet, and the people who have those connections can download content from the Internet and share it with the meshnet (Snet has a downloaded copy of Wikipedia 4 Free Tools to Download and Take Wikipedia Offline 4 Free Tools to Download and Take Wikipedia Offline Read More , for example). A mesh network in Sayada, Tunisia, also contains city maps, free books, and secure communication apps. Like Snet, the Tunisian mesh network isn’t connected to the wider Internet (though its downloaded copy of Wikipedia is also presumably updated from time to time). 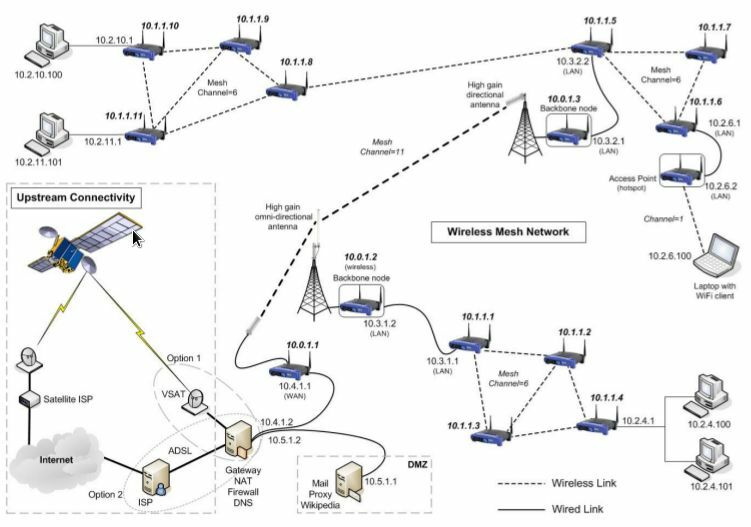 The diagram below shows what a wireless mesh network with a connection to the Internet could look like (click to enlarge). 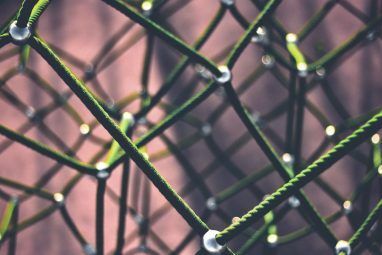 One of the things that distinguishes mesh nets from the networks that we’re more familiar with is the fact that connections can take a number of hops through other mesh nodes. On the Internet, if two people want information from the same site, they both get information directly from that site through their wired connection, no matter where they are. On a mesh network, the information from the target server could be passed through the first node and onto the second node, obviating the need for a wired connection on the second computer. In this way, a single Internet connection can be shared between a number of different users, even if they can’t use the same wired connection. Red Hook, a neighborhood of Brooklyn, used a mesh network to broadcast a satellite Internet connection to residents after Hurricane Sandy took down standard Internet and cell networks. Obviously, being able to share an Internet connection between a number of computers is a huge advantage when getting wired access to the Internet isn’t an option, due to expensive equipment or severe government restriction Why The Next 10 Years Looks Bad for Internet Censorship Why The Next 10 Years Looks Bad for Internet Censorship Although denizens of the world are learning more about censorship and learning new ways to counteract it, the outlook for the future of Internet freedom isn't looking good. Read More . 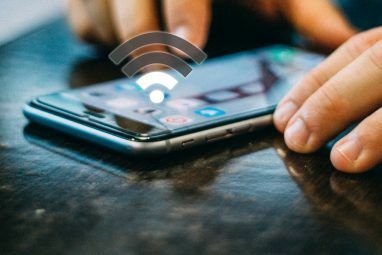 Even when an Internet connection isn’t available, the ability to communicate with other users using only wireless or semi-wireless means is hugely useful. These networks can often be set up very quickly and with minimal expense, requiring only a few routers to get started. If the networks are carefully structured, they can also be quite resistant to surveillance—while the NSA and GCHQ can easily monitor an Internet connection, they would need to actually infiltrate the hardware of a mesh network to spy on it. This resistance to snooping is one of the reasons why FireChat, a mobile app that turns cell phones into mesh network nodes, is seeing wide use in Hong Kong and other areas where protests are taking place and Internet connections are spotty. One significant advantage of mesh networks is that they’re highly adaptable. If one of the connections goes down, the network can simply re-route traffic through a different set of nodes to make the connection. Right now, the Internet is actually quite fragile. In 2011, all of Armenia lost Internet access when a Georgian woman cut through a fiber optic cable with a shovel. A future Internet based on mesh nets would be much more robust to this kind of failure. This is related to one of the disadvantages of mesh networks, at least in their current form: the routing of data through a number of nodes can make for some pretty high latencies. If information from a server has to make five or six hops to get to a user, it could noticeably increase the amount of time that it takes for a site to load. This is the same reason why using Tor Really Private Browsing: An Unofficial User’s Guide to Tor Really Private Browsing: An Unofficial User’s Guide to Tor Tor provides truly anonymous and untraceable browsing and messaging, as well as access to the so called “Deep Web”. Tor can’t plausibly be broken by any organization on the planet. Read More can slow down your browsing. It’s this cost in speed that has many people wondering if a mesh network that’s larger than the size of a small city would be too limited in speed. The 9,000 people across Havana don’t have many problems, but expanding beyond that may pose some difficulties. This is especially true if the mesh network is supporting Internet connections, in which case a single or small number of wired connections could face a high number of demands and then have to use roundabout connections through multiple other nodes. In order for mesh nets to be able to scale in size and performance to rival the traditional centralized Internet, better routing and caching algorithms are needed, to make loading content quick and efficient enough for end users. As of today, most mesh networks are ad-hoc networks, set up to serve a specific purpose in a small area. But some people and organizations have put quite a bit of thought into using mesh nets for much grander purposes. The mesh networks currently used in Cuba and Tunisia show that the technology has a great deal of promise. The US government is looking into this technology to spread wireless Internet connections into places where reception is spotty—there’s currently a project going on in Detroit using receivers similar to the one pictured below. And OpenGarden, the creator of FireChat, is looking to further expand its operations. 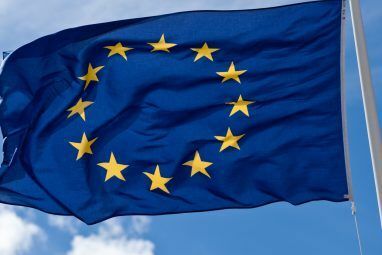 Likewise, mesh nets will probably be needed for projects like Google’s balloon-based Internet initiative, since the balloons will be constantly moving relative to one another, and their connections are likely to be unpredictable and sporadic. One of the interesting uses that’s currently being rolled out is the use of mesh networks to transmit electric and gas meter readings from one house to the next, and so on down the line until it reaches the utility company. Using a mesh network means that human meter readers aren’t required, and that the meters don’t need to be connected to the Internet. The One Laptop per Child program One Laptop Per Child Project, 7 Years Later [INFOGRAPHIC] One Laptop Per Child Project, 7 Years Later [INFOGRAPHIC] People such as I in the western developed world tend to take the Internet for granted, but we often forget that there are a lot of people in the developing world who don't have access... Read More also takes advantage of mesh networks—each laptop is fitted with mesh networking tech so that kids can share files without connecting to the Internet. Although mesh nets have some limiting factors that have kept them out of the spotlight, the increasing number of places where they’ve been successfully put to use show that the technology has great promise. If researchers can find a way to speed up the wireless transmission speed of these networks, a door may be opened to an entirely new way of connecting people around the world. What applications of mesh networks are you excited about? Do you have any experience with this type of network? Share your thoughts below! Image credits: Global mesh Via Shutterstock, Johnson et al., Citobun, Robo56 via Wikimedia Commons. Explore more about: Internet Censorship, Internet Connection Sharing, Mesh Networks, Tor Network. It must be possible to have some kind of hybrid network - perhaps one that behaves like traditional internet normally, but like a mesh network if there is a disruption. That's a really great idea—I haven't come across anything like that, but if someone could make it work, I think it'd be a fantastic way to make sure people can still communicate if the Internet goes down. Hopefully something like that is under development right now—it could really change digital communication! 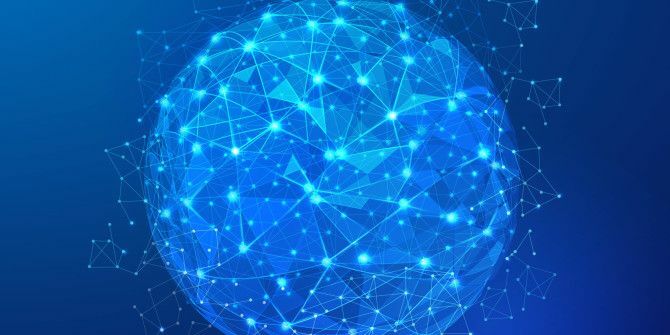 effectively the internet and a mesh network are no different in the scenario you describe, it is just a mesh network using the internet as a hop between some nodes... which is what the internet is anyway, a network of smaller networks... hence the name internet.